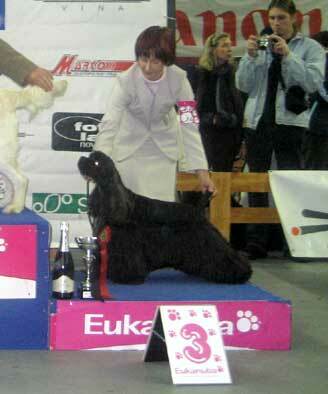 In competition of 74 american cockers Max was the only adult black male to have won ex1 and CAC tittle, which also made him Best of Variety winner. I would like to thank all my friends - Albina, Linda, Kristina, Jarka, Deniska, Alenka, Lana and the members of Hoiker's team for a very nice company and a lovely weekend as well as I'd like to congratulate them for the winns they received. 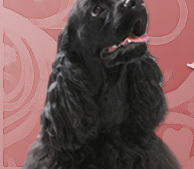 Special thank you goes to Linda for perfect handling of Max during the weekend.